Do you strive to have a healthy garden? Are you a keen gardener, a landowner or a tree owner concerned about tree preservation? Carrying out your gardening working accordance with the Tree Preservation Order (TPO) can be the key to ensure all your trees are well-protected. Tree Preservation Orders are used for protecting trees which have a considerable impact on the environment. A TPO is made under Section 198 of the Town &Country Planning Act, 1990. These consents are legally written documents which gardeners just cannot ignore. Since it is enforceable by law, the best tree surgeon in Richmond always recommends gardeners to seek the services of a solicitor. Wondering what this TPO is all about? Here’s everything you need to know! What Is The Tree Preservation Order (TPO)? The TPO is an order made by the local planning authority for the protection of trees and woodlands. The law is protecting and preserving trees for the aesthetic and environmental considerations. Both singles trees, as well as defined areas, can be protected by the TPO. However, contrary to popular belief, no trees are automatically covered by the Tree Preservation Order. How To Find Out If A Tree Is Well-Protected? Every local authority holds the details of trees covered by the Tree Preservation Orders. This means that you can easily visit the local Planning Office to look over the records to get a fair idea of the protected trees. It is always advisable to make an official search of the local land charges register before purchasing a property to check if there are any protected trees. When & How Should You Notify The Local Authority? NTPC qualified tree surgeons in Richmond are familiar with the standard documentation. Approach the local authority office and they will tell you about the ways to get the form. 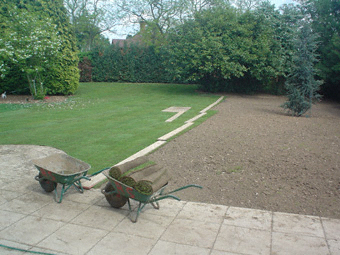 On the form, you should be clear about the gardening work you wish to carry out and why it should be done. Consider seeking the services of professional tree surgeons since they can help with the assessment of the trees’ health and the near environment by utilising advanced tree surgery techniques. Once an order has been made, consent is required before a tree can be felled or pruned. In some circumstances, removal or pruning can be allowed for accommodating development. Alongside, the TPO enables the council for controlling these actions and obtaining new plants for replacing trees which are removed. Since you are now aware of everything, what are you still thinking of? Quickly approach well-qualified tree surgeons and make the most of tree surgery in Richmond. It’s time to keep your trees well-protected!